April 14, 2016 - PRLog -- If you are music fans, you cannot miss the Strawberry Music Festival, no more than we are giving you the free tickets! Amazing? Let music make a better life. The Prodigy are an English electronic music group from Braintree, Essex, formed by Liam Howlett in 1990. The current members include Liam Howlett (keyboardist and composer), Keith Flint (dancer and vocalist) and Maxim (MC and vocalist). The Prodigy have been credited as pioneers of the big beat genre, which achieved mainstream popularity in the 1990s and 2000s. They have sold over 25 million records worldwide and they have won numerous music awards throughout their career. Modestep are a dubstep and electronic rock band from London that formed in 2010. Their debut album Evolution Theory was released on 11 February 2013, including its five singles: "Feel Good", "Sunlight", "To the Stars", "Show Me a Sign" and "Another Day". Modestep's second album, London Road, was released on 25 May 2015. For more info and tickets, please refer to http://en.damai.cn/event/tickets_98370/. 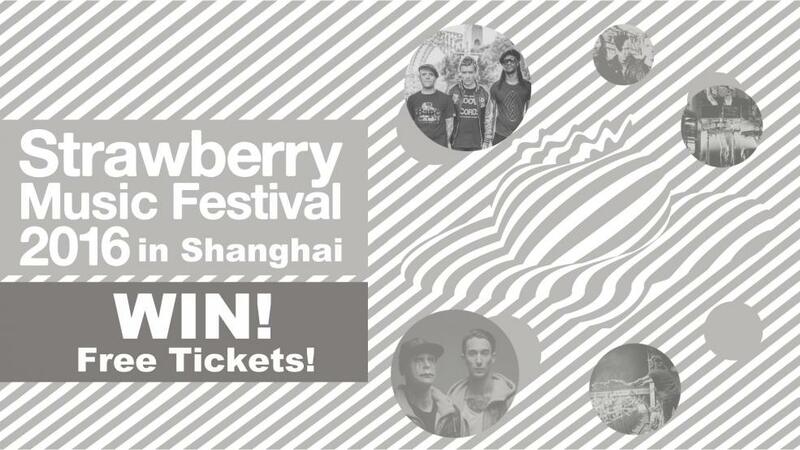 Please follow below steps to win free tix for Strawberry Music Festival in Shanghai. 1. Like our Facebook page (ID:damaitickets) and the event page(facebook.com/events/241081806245352/). 2. Share this event to your friends. If you complete above steps correctly, you can be the winner! Winners will be announced on April 25! GET FREE TIX NOW!